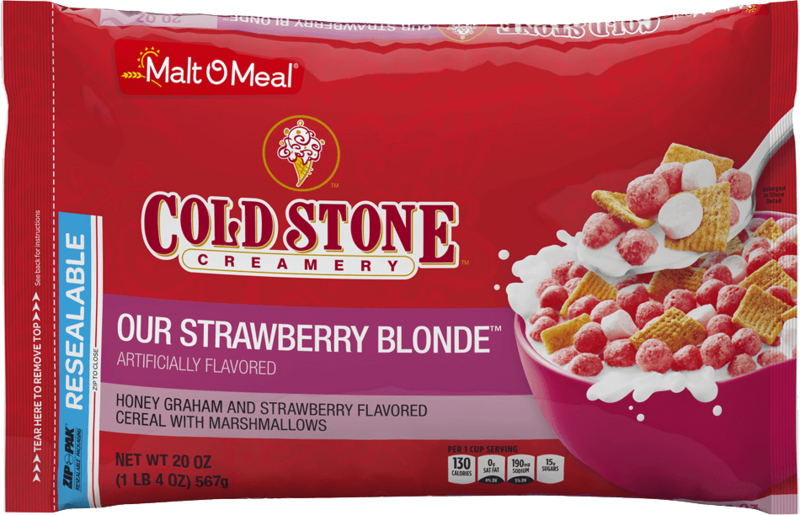 Malt-O-Meal® brand cereals come in over 30 delicious varieties, something for every taste bud in the family. They’re less spendy and so tasty. And if you don’t love them, we’ll refund your money. SUGAR, YELLOW CORN FLOUR, WHEAT FLOUR, WHOLE GRAIN OAT FLOUR, CORN SYRUP, SALT, CALCIUM CARBONATE, MALTODEXTRIN, APPLE JUICE CONCENTRATE, APPLE SOLIDS, CINNAMON, DEXTROSE, MODIFIED CORNSTARCH, YELLOW 6, BAKING SODA, CORN SYRUP SOLIDS, RED 40, YELLOW 5, BLUE 1, NATURAL FLAVOR, BHT ADDED TO PRESERVE FRESHNESS. Corn Flour, Sugar, Whole Grain Oat Flour, Canola Oil, Molasses, Contains 2% or less of Salt, Sodium Citrate, Natural and Artificial Flavor, Malic Acid, Yellow 5, Red 40, Maltodextrin, Soy Lecithin, Blue 1, Yellow 6, BHT added to preserve freshness. Ferric Orthophosphate (source of iron), Niacinamide (Vitamin B3), Zinc Oxide (source of zinc), Thiamin Mononitrate (Vitamin B1), Calcium Pantothenate (a B-Vitamin), Pyridoxine Hydrochloride (Vitamin B6), Folic Acid. Corn Flour, Sugar, Marshmallows (Sugar, Modified Cornstarch, Corn Syrup, Dextrose, Gelatin, Artificial Flavor, Yellow 5, Red 40, Blue 1, Yellow 6), Whole Grain Oat Flour, Canola Oil, Molasses, Contains 2% Or Less Of Salt, Sodium Citrate, Natural And Artificial Flavor, Malic Acid, Yellow 5, Red 40, Soy Lecithin, Blue 1, Yellow 6, BHT added to preserve freshness. Ferric Orthophosphate (source of iron), Niacinamide (Vitamin B3), Zinc Oxide (source of zinc), Thiamin Mononitrate (Vitamin B1), Calcium Pantothenate (Vitamin B5), Pyridoxine Hydrochloride (Vitamin B6), Folic Acid. Whole Grain Wheat, Sugar, Dried Blueberries, Gelatin, Vegetable Juice (Color), Natural Flavor, Freshness Preserved with Vitamin E (Mixed Tocopherols). REDUCED IRON, NIACINAMIDE (VITAMIN B3), ZINC OXIDE (SOURCE OF ZINC), PYRIDOXINE HYDROCHLORIDE (VITAMIN B6), FOLIC ACID, RIBOFLAVIN (VITAMIN 82), THIAMIN MONONITRATE (VITAMIN B1), VITAMIN B12. SUGAR, CORN FLOUR, MARSHMALLOWS (SUGAR, DEXTROSE, MODIFIED CORNSTARCH, CORN SYRUP, COCOA POWDER, GELATIN, NATURAL AND ARTIFICIAL FLAVOR), WHOLE GRAIN OAT FLOUR, CORN SYRUP, MODIFIED CORNSTARCH, COCOA (PROCESSED WITH ALKALI), CANOLA OIL, CONTAINS 2 PERCENT OR LESS OF: CALCIUM CARBONATE, SALT, NATURAL AND ARTIFICIAL FLAVOR, WHEAT STARCH, BHT ADDED TO PRESERVE FRESHNESS. Sugar, Corn Flour, Whole Grain Oat Flour, Corn Syrup, Modified Cornstarch, Cocoa (processed with alkali), Canola Oil, Contains 2 percent or less of Calcium Carbonate, Dextrose, Salt, Gelatin, Natural and Artificial Flavor, Yellow 5, Red 40, Blue 1, Yellow 6, Wheat Starch, BHT added to preserve freshness. RICE, SUGAR, CANOLA OIL, SALT, CINNAMON, CARAMEL COLOR. Whole Grain Wheat, Sugar, Rice Flour, Canola Oil, Fructose, Contains 2% or less of: Dextrose, Maltodextrin, Salt, Calcium Carbonate, Cinnamon, Soy Lecithin, Trisodium Phosphate, Annatto and Caramel Color, Natural Flavor, BHT added to Preserve Freshness. SUGAR, CORN FLOUR, CORN MEAL, CORN SYRUP, CANOLA OIL, COCOA (PROCESSED WITH ALKALI), CALCIUM CARBONATE, SALT, CARAMEL COLOR, TRISODIUM PHOSPHATE, NATURAL AND ARTIFICIAL FLAVOR. BHT (ADDED TO PRESERVE FRESHNESS). Rice Sugar, Marshmallows (sugar, modified cornstarch, corn syrup, dextrose, gelatin, artificial flavor, sodium hexametaphosphate, yellow 5, blue 1, red 40, yellow 6), Canola Oil, Cocoa (process with alkali), Salt, Caramel Color, Natural Flavor, Rosemary Extract (antioxidant). 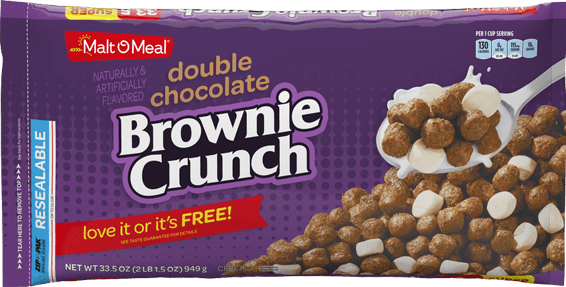 Corn Flour, Sugar, Whole Grain Oat Flour, Canola Oil, Corn Syrup, Cookie Bits (Sugar, Corn Flour, Cocoa (processed with alkali), Soybean Oil), Salt, Cocoa (processed with alkali), Caramel Color, Natural and Artificial Flavor, BHT added to preserve freshness. Calcium Carbonate, Ferric Orthophosphate (source of iron), Niacinamide (Vitamin B3), Zinc Oxide (source of zinc) Thiamin Mononitrate (Vitamin B1), Calcium Pantothenate (Vitamin B5), Pyridoxine Hydrochloride (Vitamin B6), Folic Acid. CORN FLOUR, SUGAR, WHOLE GRAIN OAT FLOUR, COCOA PROCESSED WITH ALKALI, CORN SYRUP, CANOLA OIL, DEGERMED CORN MEAL, SALT, CORNSTARCH, PALM OIL, NATURAL & ARTIFICIAL FLAVOR, TITANIUM DIOXIDE (COLOR), BHT (ANTIOXIDANT). IRON (FERRIC ORTHOPHOSPHATE), NIACIN (NIACINAMIDE), ZINC (ZINC OXIDE), VITAMIN B1 (THIAMIN MONONITRATE), CALCIUM PANTOTHENATE (A B-VITAMIN), VITAMIN B6 (PYRIDOXINE HYDROCHLORIDE), FOLIC ACID. Milled Corn, Sugar, Corn Syrup, Salt, Molasses, Canola Oil. Turmeric Oleoresin (color), Annatto Extract (color), Wheat Starch. Milled Corn, Corn Syrup, Salt, Barley Malt Extract, Wheat Starch, BHT, added to Packaging Material to Preserve Product Freshness. Reduced Iron, Sodium Ascorbate (Vitamin C), Niacinamide (Vitamin B3), Zinc Oxide (Source of Zinc), Folic Acid, Pyridoxine Hydrochloride (Vitamin B6), Riboflavin (Vitamin B2), Vitamin A Palmitate, Vitamin B1Thiamin Mononitrate (Vitamin B1), Vitamin B12, Vitamin D3. Rice, Sugar, Corn Syrup, Salt. Ferric Orthophosphate (source of iron), Sodium Ascorbate (Vitamin C), Niacinamide (Vitamin B3), Zinc Oxide (source of zinc), Folic Acid, Riboflavin (Vitamin B6), Vitamin A Palmitate, Thiamin Mononitrate (Vitamin B1), Vitamin B12, Vitamin D3. WHOLE GRAIN WHEAT, SUGAR, CORN MEAL, CANOLA OIL, FRUCTOSE, MOLASSES, HONEY, SALT, BAKING SODA, CALCIUM CARBONATE, SOY LECITHIN, DEXTROSE, TRISODIUM PHOSPHATE, NATURAL AND ARTIFICIAL FLAVOR, MAPLE SYRUP, BHT (ADDED TO PRESERVE FRESHNESS). MILLED CORN, SUGAR, CONTAINS 2% OR LESS OF: CORN SYRUP, SALT, BARLEY MALT EXTRACT, WHEAT STARCH. Whole Grain Wheat, Sugar, Gelatin, BHT (to Preserve Freshness). Reduced Iron, Niacinamide (Vitamin B3), Folic Acid, Zinc Oxide (source of zinc), Pyridoxine Hrydrochloride (Vitamin B6), Riboflavin (Vitamin B2), Thiamin Mononitrate (Vitamin B1). RICE, SUGAR, CORN SYRUP, CANOLA AND/OR SUNFLOWER OIL, CONTAINS 2% OR LESS OF: SALT, NATURAL AND ARTIFICIAL FLAVOR, BLUE 1, RED 40, YELLOW 6, YELLOW 5. 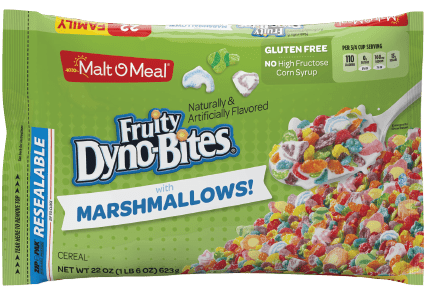 (RICE, SUGAR, MARSHMALLOWS (SUGAR, MODIFIED CORN STARCH, CORN SYRUP, DEXTROSE, GELATIN, ARTIFICIAL FLAVOR, YELLOWS 5 & 6, BLUE 1, RED 40), CORN SYRUP, CANOLA AND/OR SUNFLOWER OIL, CONTAINS 2% OR LESS OF: SALT, NATURAL AND ARTIFICIAL FLAVOR, YELLOW 5, BLUE 1, RED 40, YELLOW 6). (VITAMIN B1 (THIAMIN MONONITRATE), VITAMIN B2 (RIBOFLAVIN), NIACIN (NIACINAMIDE), VITAMIN B6 (PYRIDOXINE HYDROCHLORIDE), FOLIC ACID, VITAMIN B12, VITAMIN A PALMITATE, VITAMIN D, REDUCED IRON, ZINC (ZINC OXIDE)). SUGAR, WHEAT, CORN SYRUP, HONEY, SALT, CARAMEL COLOR. CORN FLOUR, SUGAR, WHOLE GRAIN OAT FLOUR, MODIFIED CORN STARCH, HONEY, SALT, NATURAL FLAVOR, TURMERIC OLEORESIN (COLOR), WHEAT STARCH. Whole Grain Wheat, Sugar, Corn Meal, Canola Oil, Molasses, Honey, Fructose, Salt, Baking Soda, Calcium Carbonate, Soy Lecithin, Dextrose, Trisodium Phosphate, BHT added to preserve freshness. CORN FLOUR, SUGAR MARSHMALLOWS (SUGAR, CORN SYRUP, MODIFIED CORNSTARCH, DEXTROSE, GELATIN, COCOA POWDER, NATURAL AND ARTIFICIAL FLAVOR, SODIUM HEXAMETAPHOSPHATE), CORN MEAL, CORN SYRUP, CANOLA OIL, DEGERMED CORN, CALCIUM CARBONATE,SALT, TRISODIUM PHOSPHATE, NATURAL AND ARTIFICIAL FLAVOR, BLUE 2, RED 3, YELLOW 6, BHT ADDED TO PRESERVE FRESHNESS. SUGAR, CORN FLOUR, MARSHMALLOWS (SUGAR, MODIFIED CORNSTARCH, CORN SYRUP, DEXTROSE, NATURAL AND ARTIFICIAL FLAVOR, GELATIN, SODIUM HEXAMETAPHOSPHATE). WHOLE GRAIN OAT FLOUR, WHOLE GRAIN WHEAT, CORN MEAL, MODIFIED CORNSTARCH, CANOLA OIL, SALT, CALCIUM CARBONATE, CORN SYRUP, MOLASSES, HONEY, FRUCTOSE, BAKING SODA, SOY LECITHIN, NATURAL AND ARTIFICIAL FLAVOR, DEXTROSE, RED 40, TRISODIUM PHOSPHATE, BHT (ADDED TO PRESERVE FRESHNESS). 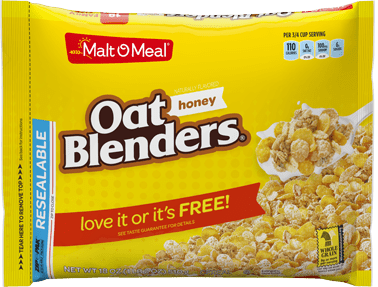 Whole Grain Oat Flour, Sugar, Corn Syrup, Wheat Starch, Modified Cornstarch, Contains 2 percent or less of Salt, Calcium Carbonate, Dextrose, Gelatin, Artificial Flavor, Trisodium Phosphate, Yellow 5, Red 40, Blue 1, Yellow 6. Ferric Orthophosphate (source of Iron), Niacinamide(Vitamin B3), Zinc Oxide (source of zinc), Thiamin Mononitrate (Vitamin B1), Calcium Pantothenate (Vitamin B5), Pyridoxine Hydrochloride (Vitamin B6), Folic Acid. Whole Grain Wheat, Sugar, Gelatin, Natural and Artificial Flavor, Red 40, Blue 1, BHT (to Preserve Freshness). 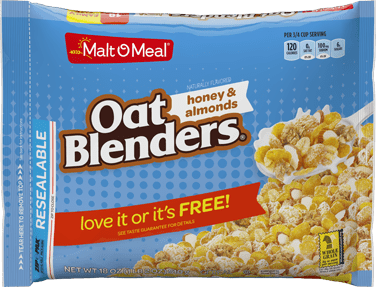 Corn, Whole Grain Wheat, Sugar, Whole Grain Rolled Oats, Almonds, Rice, Canola Oil, Corn Syrup, Salt, Barley Malt Extract, Cinnamon, Molasses, Honey, Caramel Color, Natural Flavor. Corn Flour, Sugar, Peanut Butter (peanuts, dextrose, hydrogenated vegetable oil (cottonseed, soybean, canola), salt), Dextrose, Whole Grain Oat Flour, Canola Oil, Corn Syrup, Salt, Calcium Carbonate, Cocoa (processed with alkali), Caramel Color, Natural and Artificial Flavor, BHT added to preserve freshness. WHOLE GRAIN WHEAT, RAISINS, WHEAT BRAN, SUGAR, CORN SYRUP, CONTAINS 2% OR LESS OF: MALT EXTRACT, MOLASSES, SALT, ANNATTO (FOR COLOR). Sugar, Corn Meal, Whole Grain Wheat, Marshmallows (Sugar, Modified Cornstarch, Corn Syrup, Dextrose, Gelatin, Artificial Flavor, Natural Flavor), Canola Oil, Corn Flour, Contains 2% or less of: Molasses, Salt, Corn Syrup, Fructose, Honey, Calcium Carbonate, Baking Soda, Cocoa (processed with alkali), Soy Lecithin, Dextrose, Caramel Color, Trisodium Phosphate, Natural and Artificial Flavor, BHT (to preserve freshness). Ferric Orthophosphate (source of iron), Niacinamide (Vitamin B3), Zinc Oxide, Thiamin Mononitrate (Vitamin B1), Calcium Pantothenate (Vitamin B5), Pyridoxine Hydrochloride (Vitamin B6), Folic Acid. Acid. SUGAR, CORN FLOUR, WHEAT FLOUR, WHOLE GRAIN OAT FLOUR, CORN SYRUP, SALT, CONTAINS 1% OR LESS OF: CALCIUM CARBONATE, NATURAL FLAVOR, RED 40, YELLOW 6, YELLOW 5, BLUE 1. BHT ADDED TO PRESERVE FRESHNESS.